El Salvador is the smallest country of continental America and it is the only Central American nation without a Caribbean coast. It is affectionally called The Tom Thumb of the Americas. 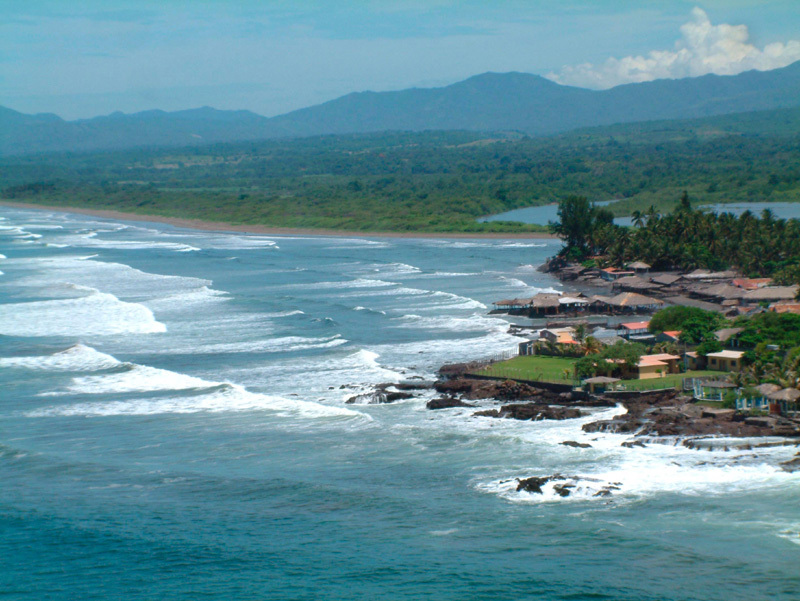 Despite its turbulent past, El Salvador tourism industry is growing, specially surfers looking for uncrowded beaches. Other tourist attractions include volcanoes and war-torn places such as Perquin a former guerrilla capital that features historical museums. In Miss World, El Salvador debuted in 1975 and competed until 1993 followed by an 11 year hiatus. They have been competing again since 2004. This year, the nation will be represented by María Gabriela Molina Rochac, crowned Nuestra Belleza El Salvador Mundo 2010 last spring. TimesOfBeauty.com proudly presents Nuestra Belleza El Salvador Mundo 2010 in an exclusive interview for our series Meet the Misses. My name is Gabriela Molina, I’m 22 years old and currently in my 4th year of college, pursuing a career in Psychology. I’m anxiously looking forward to representing my beautiful country, El Salvador, at Miss World 2010; certain of bringing lots of positive energies and great expectations for an unforgettable experience in China. El Salvador is a small country with only 20,742 km of territory and it´s compact size is a great advantage not only for us residents but also for tourists who can travel from one side of the country to the other in a short amount of time. One day can be spent in our beautiful beaches, famous for their waves, a favorite for surfer all over the world; and the next can be spent climbing a volcano, enjoying various water sports in our famously beautiful lakes, camping, or trying our delicious traditional foods with a great weather up in the mountains. Finally the best part of El Salvador is the people; we are known for our warmth, hospitality and great sense of humor. Representing my country at Miss World is a great privilege. It means that I am representing all the amazing Salvadorans, known as strong, persevering people with an unbreakable humor and kind heart; this is certainly a great responsibility and a true honor to be considered capable of representing my beautiful country and people of El Salvador. So far, I have been working on a social project for my country, where I have had the most wonderful experiences helping others. I have also been working on all the designs for the extensive wardrobe we must take for the event and the month-long stay in China; and finally, I´ve been practicing for all the competitions, including lots of sports and modeling. Pacifica (Peaceful). I could describe myself in various words, but peaceful is one that applies to me as a whole. It’s not only a state of mind that I try to maintain but it’s also a way of life. I believe it does not mean never getting angry, but knowing how to always maintain your respect for others and making an effort to keep relationships free of any kind of violence; recurring to other alternatives that will potentate our personal and spiritual growth. I see myself having a psychology clinic for adults; working in a program for children, to strengthen their self-esteem before they begin to confront all the struggles and changes of adolescence; still participating in charities to help my country, and finally, I see myself starting my own family. As the question is stated, it seems that both choices are supposed to be opposites. I understand rich is the opposite of poor, but why should beautiful be considered the opposite of smart? So if I must choose, I’d like to be poor and smart, not discarding the possibility of being beautiful. I make this choice because I truly admire the people that have risen from poverty with no other resource other than their intelligence and their will to, not only survive, but grow and progress. I believe that is one of the greatest satisfactions a person can have; to rise above not only economically, but emotionally and spiritually as well, by their own efforts and struggles. I’ve actually been asked this question many times in the past, and I’m proud to say that I’ve never been able to choose any other country than mine. Of course I know the world is filled with amazingly beautiful countries, and I would certainly love to visit them; but there’s nothing better than the country you’ve lived in your entire life; where you’ll always feel at home among the people with whom you share a history, traditions, values, flavors, etc. I believe the spiritual ties between my country and I would always make it number one in my list. 9. What do you think is the biggest problem facing the world today and what should be done about it? I believe that the biggest problem facing the world today is the poverty in human values that people are growing up with. Children are turning into men and women with very little compassion, willingness to help the needed, respect for others regardless of anything, love for the true essence of life and not only materialism and instant gratification, among others. These values are obtained in our first years of life, and so must be taught by our parents and family members not only by word but also by actions; and finally, I believe in the importance of spirituality, I’m not referring to a religion, but a spirituality that will plant in our minds respect and love for all life. 10. Do you believe a beauty queen should be politically correct when answering a controversial subject question or should she express her personal views on the issue? I believe a beauty queen is a representative of a diverse group of people with different opinions and beliefs, and that her task is to listen to the different views and to get to know each side of a story. It’s important that she doesn’t let her own personal views and opinions interfere the process of learning from those of others; so when she is asked a controversial subject question she can clearly answer, not necessarily in a politically correct manner, but in a justified and polite manner. I think the Miss World Festival will be an incredible learning experience, and I’m mostly looking forward to learning about the amazing culture of our host country and, of course, of the large number of nationalities I will meet and hopefully make good friends with. 12. The motto of Miss World is Beauty with a Purpose. What does Beauty with a Purpose mean to you? I believe that beauty is a quality that not everyone has but that everyone is capable of having. Beautiful is the person who believes in herself and in others, and projects her positive vibes as she confronts the world. Beauty with a purpose means that the faith in us and in others will be used positively to work for a good cause; to help others and spread our positive energies hoping that our efforts will make a difference for the good of this world. 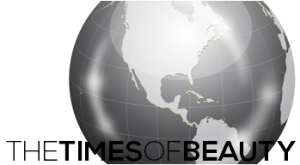 Greetings to all supporters and readers of The Times of Beauty! I hope you follow me along this wonderful journey in China; I send you all lots of love and positive energies from El Salvador! Favorite Food: Everything that had cheese in it! And chocolate!